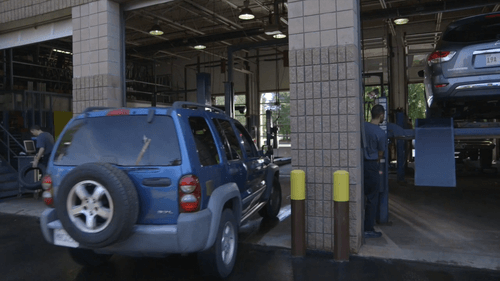 The Meineke App lets you do everything you need to do to take care of your car, from scheduling appointments and checking service history to accessing your Meineke Rewards! We don't think taking care of your car should take over your life, and with the Meineke App, you can get back on the road even faster. Check your existing point balance, view available rewards and schedule service that will earn you even more points. The app makes it easy to schedule your next service appointment by saving you and your vehicle’s information. With the ‘My Cars’ feature, view and keep track of work you've had done and receive service reminders. 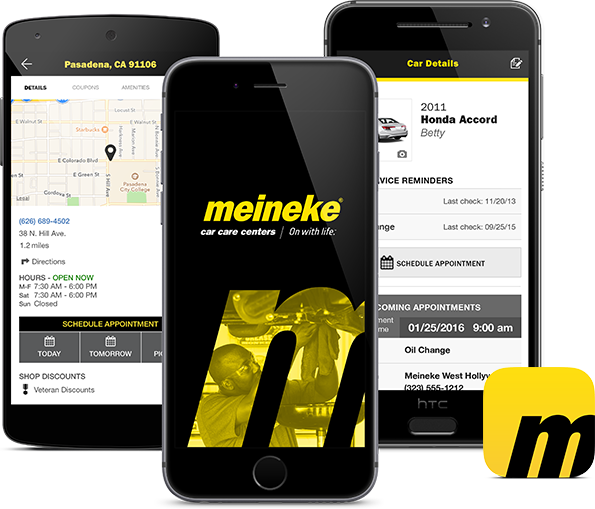 If and when you need us, the app will direct you to the nearest Meineke location.